Looking for something new to serve up during the holidays? Look no further! 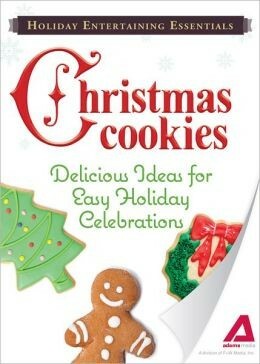 Holiday Entertaining Essentials: Christmas Cookies is a scrumptious selection of tasty treats that'll make your celebrations even merrier. From Molasses Stained Glass Cookies to Cranberry-Pistachio Biscotti, these festive cookies are perfect for parties, to give as gifts, or to leave out for Santa. Merry Christmas and enjoy!